The worst thing you can do is hire movers without a contract. Seriously. It’s really dumb. They can abuse you very easily by adding terms and holding on to your stuff if you don’t pay their new price. Rates – Figure out how you’ll be charged (by the hour, by the pound, by the mile) and at what price. Maximum/minimum prices – You should try to establish a max price for the services. 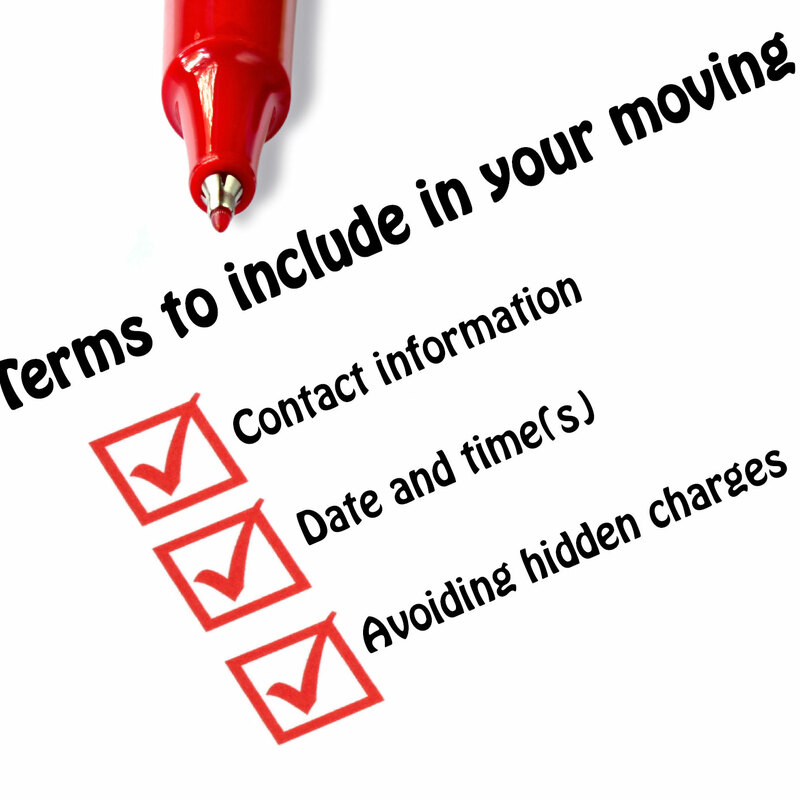 Avoiding hidden charges – Will you be charged for: (1) stairs, (2) parking, (3) packing, (4) lunch breaks, (5) waiting time, (6) storage, (7) extra weight, (8) extra time, (9) extra movers, (10) bad weather, (11) distance/mileage, (12) gas, (13) space used in the truck? Arbitration – You can require arbitration for any disputes; it is a way to resolve things out of court. It’s cheaper and less stressful in most instances. The AMSA offers a dispute arbitration program, which you might be able to use in your contract.